I’ve recently had a few conversations with recruitment agencies, where they’ve asked me to rate my IT skills from 1-5. However, I’m reluctant to answer, because I think the concept is flawed. I recently earned the ITIL Foundation Certificate in IT Service Management, after about a week of study. I’m currently job hunting, and I’ve noticed that a lot of adverts list this as essential. It won’t get you a job on its own, but not having the qualification might exclude you from certain jobs, if the employer treats this as a deal breaker. “The first release of ITIL 4 will be the Foundation level, currently scheduled to be launched in Q1 2019, with the following levels due for release in H2 2019. Based on that, if you haven’t started studying for ITIL yet then I recommend waiting a few months. However, circumstances forced my hand. Based on that, I looked for training that’s specifically focussed on this exam, rather than going into more depth. When you set up a wired network using Ethernet cables (e.g. Cat5e or Cat6), there are 2 types: solid and stranded. The rule of thumb is that you use solid cables when they’re not going to move, e.g. between a wall socket and a patch panel. You use stranded cables when they will move, e.g. between a desktop PC and a wall socket. Solid cables are better over long distances, while stranded cables are a bit more flexible and they’ll probably survive being run over by an office chair. However, what’s the actual difference between those types? In a way, they’re both solid, in the sense that they’re not liquid or gas. They also both contain thinner wires inside (twisted pairs). The difference applies to the copper wire once you remove all the plastic sheaths. I recently came across an odd situation involving Windows Server 2016 and WSUS updates. The update with the highest number will supersede the others, so I only approve that one. I then install this update on my other servers, and verify that they’re all up to date with patches (0 needed). NB Windows Defender only runs on Windows Server 2016, not Windows Server 2012 R2 (or older). I’ve only tested this on core server, not the GUI edition. I’ve recently been setting up a new FTP server, and I wanted it to support FTPS. However, I ran into a few problems when I tested it, which turned out to be partly due to the client software I was using. I’ve been using CuteFTP for several years: I registered for version 1.0 back in 2001, and I’ve been using version 8 since 2007. However, I’m now abandoning that in favour of FileZilla. I recently upgraded an NME-CUE (Cisco Unity Express Enhanced Network Module) from version 3.2.1 to 8.6.7. This module was moving from a 3845 router (running CUCME 7.1) to a 3945 router (running CUCME 10.5), so these versions match the compatibility matrix. On the whole, this went fairly smoothly, but there are a couple of issues to be aware of. Backup the current configuration and data. Download and install the upgrade package. Sort out the Message Waiting Indicator (MWI). As I mentioned in a previous post, I installed dd-wrt (kernel 2.6, VOIP, build 14896) on my wireless router (Linksys WRT320N), which connected to a VDSL modem using PPPoE. 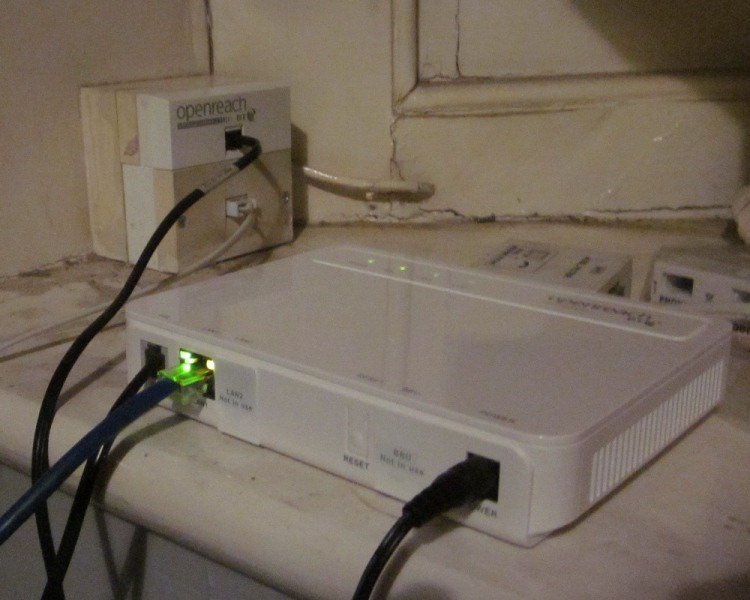 After that, it worked fine for IPv4, so I had the same functionality as the original Linksys firmware. However, the purpose of the exercise was to get IPv6 support: this turned out to be easier said than done. I was eventually able to get it working, so if you only want the short answer and aren’t interested in all the troubleshooting steps that I went through, scroll down to the Conclusion section at the bottom of this post. Please refer to my IPv6 router post to get an overview of what I’m trying to achieve here. Most of the documentation that I’ve found assumes that you’re using a tunnel: this is similar to a proxy server, where you have an IPv4 connection to a machine on the internet, then that machine connects to your real destination using IPv6. However, I have native IPv6 connectivity from my ISP. As I’ve mentioned before, I switched my home ISP to A&A so that I could get IPv6 on my internet connection. That gave me 2 pieces of the puzzle (OS support and internet connection), but I still needed to sort out my network infrastructure, specifically my router. This post says what I’m trying to achieve, and it would apply to any router, regardless of the hardware/software involved. I’ll save the details of how I actually went about it for other posts, which are specific to the particular equipment. On the client side, this should all be invisible. Someone should be able to turn up with a suitable device (e.g. an iPad or a laptop running Windows) and automatically get IPv6 internet access without having to do anything extra. They may have to type in the key for the wireless network, but that’s the same for IPv4 and IPv6. Similarly, they shouldn’t notice whether they’re accessing a particular site (e.g. Facebook) over IPv4 or IPv6; the only visible difference should be that IPv6-only sites (e.g. Loops of Zen) are now available, whereas they weren’t before. I’ve bought an iPad app to help me with my testing (IPv6 Toolkit) but that’s just a diagnostic tool and you don’t need it to actually use IPv6. In fact, as of IOS 9, it’s a requirement for all iPad apps to support IPv6. On the router side, I want feature parity between IPv4 and IPv6 (where it makes sense). For instance, NAT (Network Address Translation) is a necessary evil in IPv4 and I’ll be glad to see the back of it, so I don’t want an IPv6 equivalent (NAT66). However, if a router says that it supports IPv6 and PPPoE then I expect it to support IPv6 over PPPoE. I also expect to be able to ping IPv6 addresses; I’d prefer to use the same command (ping) for both IPv4 and IPv6, but I don’t mind if I have to use separate commands (e.g. ping6 in Red Hat Enterprise Linux 5) as long as the functionality is built in. I would like to have some kind of firewall built into the router (e.g. ip6tables), but that’s not essential; if necessary, I’m willing to use a separate device for that. When I set up a router for an IPv4 xDSL (ADSL/VDSL) internet connection, I don’t have to type in the public IPv4 address: that comes from the ISP. In a similar way, I would like an IPv6 router to pick up the equivalent IPv6 address range automatically. However, if I have to type in the router’s IPv6 address manually then I can live with that; this is just a one-off job until I change my internet connection, rather than something I’d have to do on a daily basis. Earlier this year, the modem developed a fault and I couldn’t get online. Annoyingly, this happened on a Friday evening, so A&A’s tech support had closed for the weekend. I got in touch with them on Monday morning, then BT sent someone out on Tuesday morning and I was back online by 09:30. So, I didn’t have internet access for 3½ days, but if the same problem happened midweek then presumably it would be resolved more quickly. In 2007, I passed CompTIA’s A+ exams; that gave me a qualification which is valid for life. In April 2012, I enrolled in the CE (Continuing Education) program. In April 2015, I passed the Network+ exam, which gave me the Network+ ce qualification (valid for 3 years). Since I was within the deadline, I could also use this exam to get the A+ ce qualification, but that involved navigating CompTIA’s website: this blog post explains how to do it, since they haven’t made it obvious. My main concern was that I’d cut it quite close with the timings. I took the Network+ exam on 2015-04-24, and the deadline for A+ ce was 2015-04-26. When I got the printed report after the Network+ exam, it said: “Please allow five business days for your CompTIA web record to be updated with exam results.” So, if the website didn’t process my results until after the deadline had passed, would I still be ok? Also, I took the exam on Friday and my deadline was Sunday, so I had less than 1 working day. However, it was all fine so if you’re in a similar situation then don’t worry about it.